Cousins Johan and Göran grew up a mere stone’s throw from Brändön Lodge. As children, this was where they swam, played and tumbled in the snow with friends. 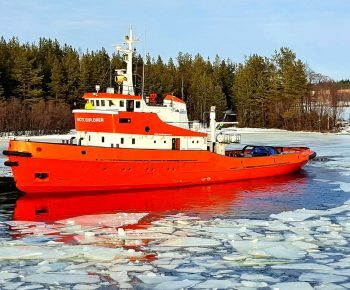 The sea and ice have always been a natural part of their lives, in summer as well as winter. Hover craft over the frozen sea. Who typically finds their way to Brändön and what are they looking for? – Our clients are individual travellers who appreciate our welcoming, personal service. It’s in our blood to be social and enjoy meeting new people. 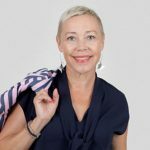 Our guests really appreciate being able to experience life ’behind the curtains’ as they take part in our daily life and work for a couple of days, Göran Widén tells us. When we bought Brändön Lodge in 1999 our focus was groups and conferences, Göran continues. We worked with the local market, which is still very important to us. Throughout the years we’ve also worked a lot with international groups and different kinds of events: incentive travel, product releases and so on. In 2012 we decided to learn more about how to work with individual international travellers. It turned out our establishments were made for that kind of experience. 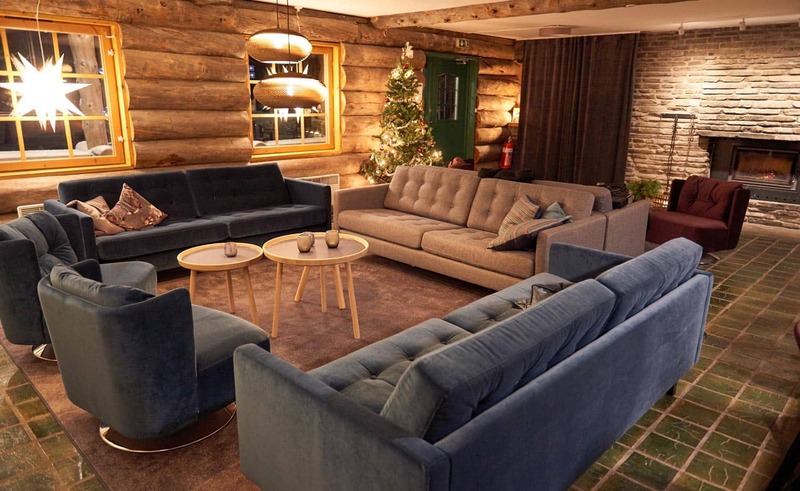 How do you offer guests a taste of the Arctic lifestyle? – Welcoming and close is key as our guests experience the Arctic lifestyle. 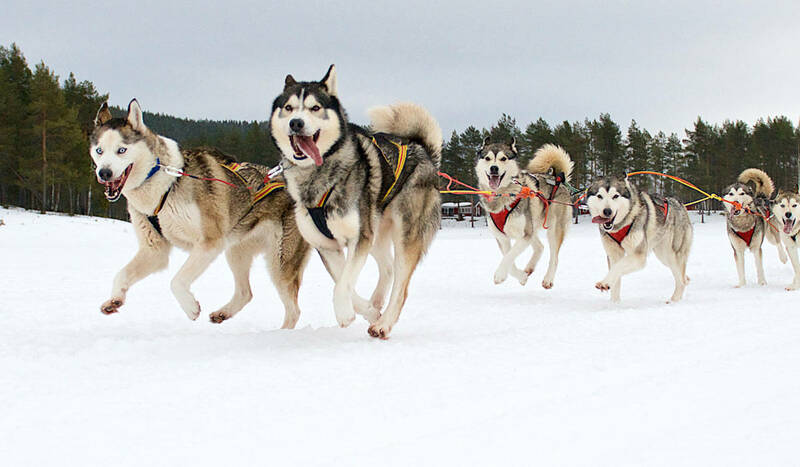 Keijo’s dog sled tours are one example. The guests take part in life and work on the farm: they help choose which dogs to take on the tour, they help put their harnesses on and then they mush the team themselves. And they get to sit at the table in Keijo’s kitchen to have a cup of coffee and a snack. That’s exactly what happens on the farm on a normal day. Lot's of kiddie friendly activitites. Photo by Tomas Jönsson. – We see a lot of demand from the British market. Germany, Holland and Belgium are also important markets. During the UK half term in February, we’re completely full. Guests are looking for genuine experiences, with activities involving small groups. 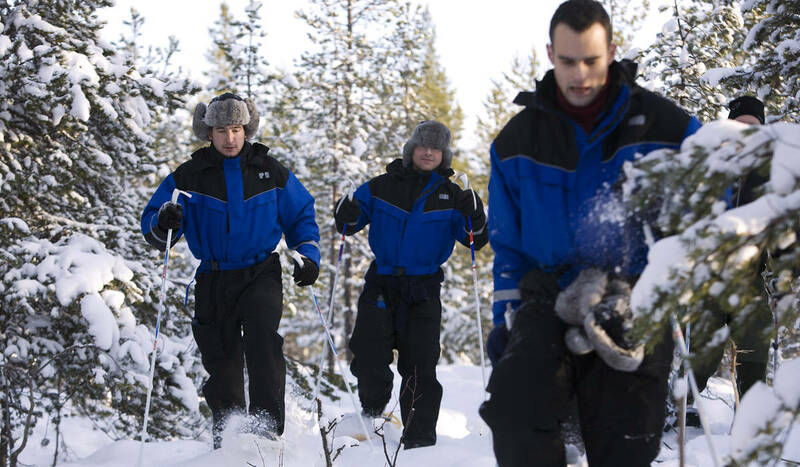 Nordic Winter Skills is one example, where guests learn how to survive in nature during winter. 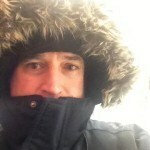 We teach them how to use snowshoes, how to light a fire and how to dress in a cold climate. Then we cook together – out in the open. The rooms. Photo by Tomas Jönsson. 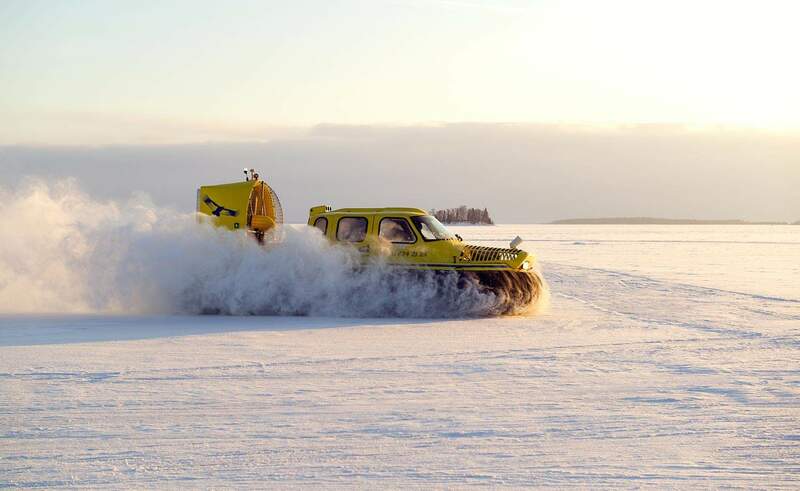 – The hovercraft is a unique product we offer, we’re the only ones to do so, Göran explains. 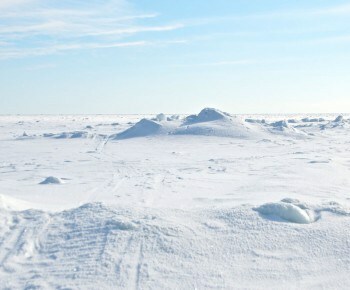 Using the hovercraft it’s easy to travel long distances over ice, all the way out to the pack ice. We know the archipelago like our own backyard and have friends and staff who own cabins on many of the islands. We often stop to visit and have a chat about the weather over a cup of coffee with our guests. This is what we do here – we care about each other and look after one another. Dogsledding is always fun but if you get the chance, try driving the sled yourself - it's twice the fun! What’s your overall philosophy for how you run Brändön? – We run a small family company and invite our guests to share our way of life. Yes, it’s a way of life to work like we do. My wife Ann-Helen is the manager of Pine Bay Lodge where we cater for adults travelling without children. We get to know our guests well and call each other by first names. Reviews written by our guests show us that they really appreciate it. Walking on the frozen sea. Photo: Brändön Group. 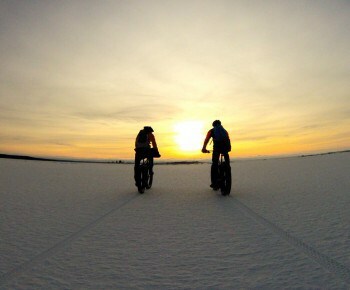 – The nature and surroundings here at Brändön Lodge are made for winter play. 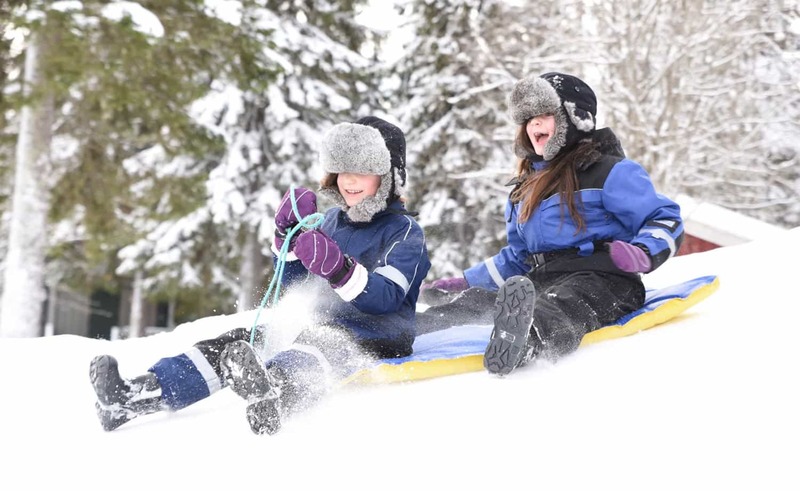 Children and teenagers love to tumble around together in the snow. They rush out straight after dinner while the parents stay inside and get comfortable with a glass of wine in front of the fireplace. It’s great to see how they all enjoy themselves here with us. – After a day outside guests gather in the dining room for a good meal and nice company. We live in a region full of amazing local produce and the food here at Brändön Lodge is a big part of the experience. Natural flavours from game, berries and mushrooms come together on the plate and make sure our clients are able to recharge in preparation for their next adventure, Göran explains passionately. Walking with snowshoes and learning how to make a fire in the woods is a fun learning experience. Photo: Per Petterson. 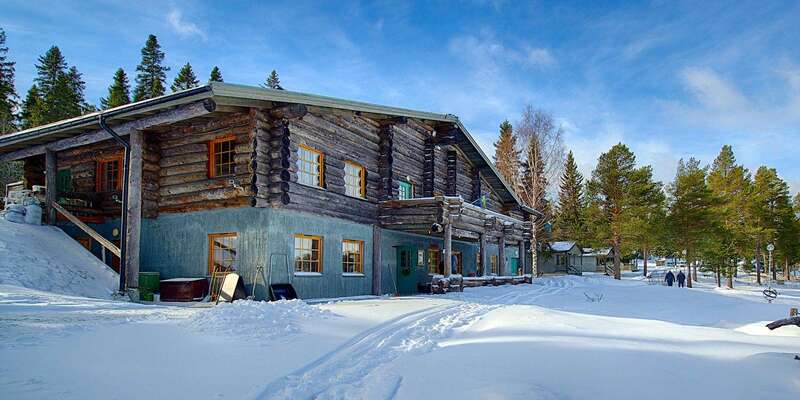 Brändön Lodge offers 15 cabins with four beds in two rooms. Pine Bay Lodge offers 12 hotel rooms with a total of 23 beds. 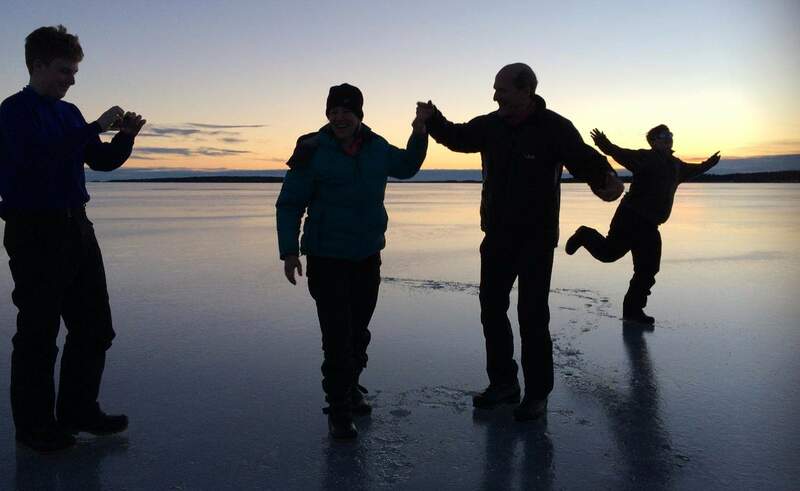 Activities include Pack Ice Adventure on snowmobiles, Dinner on Ice, Husky Activities, Snowshoe Walk, Ice Fishing, Hovercraft Adventure, Cross-Country Skiing and more. Find out more by visiting www.pinebaylodge.se. – If it’s a larger group, perhaps celebrating a birthday or a wedding, they can rent the whole establishment. For those guests who wish to see more of the region we cooperate with our well-renowned colleagues at for example Sörbyn Lodge, Treehotel and Aurora Safari Camp. And of course, you can combine a visit here with one or two nights in the city. Winter, with snow and ice, is our main season. We also see increased demand for autumn products. It’s an amazing time of year when nature presents the most beautiful colours. Not to mention the possibility of experiencing the magical northern lights. Summer is increasing too, offering long, bright nights under a midnight sun that never sets.